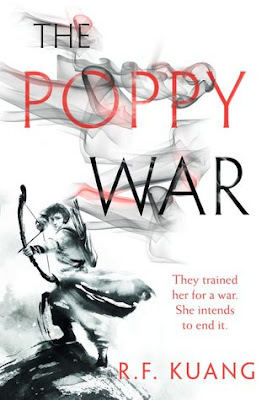 The Poppy War (****) is an accomplished fantasy novel, especially for a debut, with an unusually bleak and cynical tone to it that becomes much more pronounced as it continues (to the point where I'm glad the next book I'm reading is the much more positive Space Opera). The characters are interesting and well-developed, but the worldbuilding and magic could be a bit more developed. Hopefully we'll see this in the sequels, as The Poppy War is (as you may have guessed), the opening volume of a trilogy. The novel is available now in the UK and USA.